Are You Leader or Follower? Other days I like to follow. Is more than I can swallow. They’re like this ugly beast. But not as I do,” you know? He tries to force his way. We know which way is right. So stand your ground, my friends. Don’t let him push his might. Usually wins the game, they say. Don’t let him lead you astray. This poem was inspired by a Time Magazine article titled, “Whose standards will Democrats embrace?” by the eloquent former editor of Time Magazine, Nancy Gibbs. When I was a youngster, one of the popular TV programs was “Father Knows Best.” I related to that … and so did a lot of my peers. Mom and Dad talked things over. They presented a righteous front of solidarity. Sometimes Mom (in fact usually Mom) laid down the laws. Together, they enforced them. We were the “Leave it to Beaver” generation whose nuclear family lived by the universal rules spelled out in the Ten Commandments. “Do not lie” was paramount among them. “Love One Another,” was another. “Be kind to your neighbor,” right? Appreciate one another’s differences. Know that we all are part of one body – and the head needs the hand; the leg needs the foot. We need to live in harmony. What has happened to our Rules to Live By?? Sue Dreamwalker is an amazing poet, and a lovely, thoughtful person. If you have not yet met her, please do! Hear the song, feel the Earth’s heartbeat beneath your feet, and listen to the message…..
What defines this woman in your mind? I was mesmerized by her face. I can see that you were, too. You captured her tired and weathered soul. You captured her work ethic. She is a woman who worked hard all her life, and continues to do so. Externally, her lines define her character. Her eyes define her outward condition. Some say the eyes are the windows to the soul, but I cannot judge. We really can’t tell what is going on inside her. I read it and decided The 3-Level Theory of Performance is a theory that can be applied to life in general, not just to Street Photography. The first group of people, the coach tells them to do 10 exercises, and they do only 7. They make an excuse, or they say, “7 is good enough, why do 10?” These people never win and are the perennial losers in whatever field of endeavor they are in. They cut corners and do sloppy work. The second group of people, the coach tells them to do 10 exercises, and they do 10. These people will win, sometimes. They at least do what is asked. 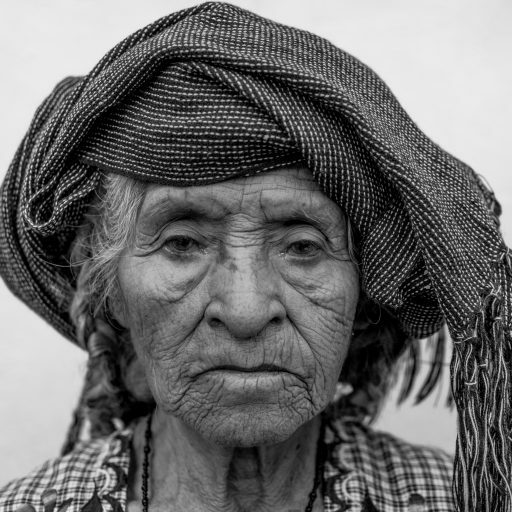 Look again at the picture toro bravo photography took of that elderly, lined, tired-looking, Mexican matriarch. She obviously is in the third group! When 10 was enough, she did 20! She never slacked. She has not quit yet! Her lines define her… exposed to the sun, stead-fast and reliable, she makes sure her family is fed. She receives few accolades, but she does not rely on external praise to do what must be done. She knows. She over-delivers. She deserves 10 gold medals! If toro bravo photography took a picture of you and posted it, what would people say or surmise about you? Are you in the rare third group? Is our outward appearance a true test of our definition? Is our behavior a better test of our definition? What is it that really matters? Can anyone see through our eyes into our soul? Mid-term elections in the USA. And then live in unity. The common good of us all. What’s the “U word” that brings U joy? No, this “old coot” (who may have a wonderful sense of humor locked inside, by the way) is not sixty-four. He’s much older… and he reminds me of the subject of the poem below. It’s a seven-syllable poem. I read somewhere, “Seven-syllable lines in English verse can have several different names.” I call mine heptameter. I heard that somewhere. I didn’t make it up. Madison County Writers Anthology for the year. The subject was a 96-year-old for whom I was a senior companion. He was a hoot of an old coot! The poem rings a loneliness bell, doesn’t it? Ah, but he loved company and he had a million stories locked inside, aching to be told. Do you know a senior who lives alone? Why not decide to visit today – or give him/her a call. Nevertheless, it was fun to write my Heptameter. You should try it. It’s fun! Can you add to the list? And how can we tell who’s telling the truth? How can we know who’s being honest? Each talks from his/her own understanding, right? Each tells his/her own truth. Are there any absolutes these days? So, lie detector test results aren’t allowed in court, huh? So that means you don’t have to take one? So, the FBI doesn’t draw conclusions, huh? So that means you should not ask them to investigate? So, one side points fingers at the other side. And nobody believes anybody else any more.